That’s my twelve-year-old daughter, an obsessive reader who plows through four or five books a week, disappointed that her novelist mom hasn’t invented a tweenage dystopia like the ones she devours daily. For her, like for so many readers her age, reading means plunging into the supernatural, fantasy, science fiction, some wild imagined world where new rules apply. I watched endless alternate universes with daring heroines pile up on my daughter’s nightstand, baffled by how different her tastes were from mine at her age—until I finally understood one very obvious answer to her question. 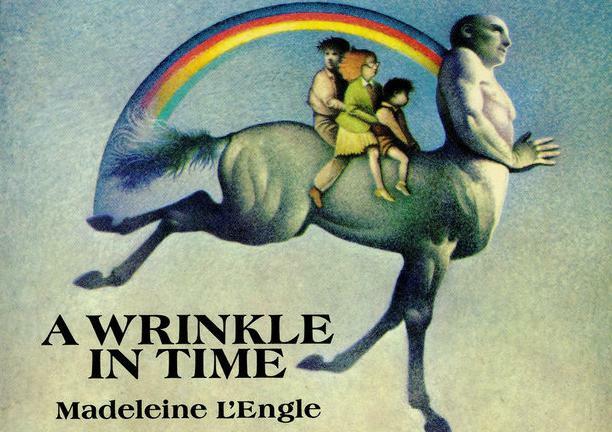 My daughter’s fascination with nonrealistic literature began a few years ago with one of my own childhood favorites: Madeleine L’Engle’s A Wrinkle in Time, first published in 1962. And that was where the wrinkle between my daughter’s time and mine began. is about a, she saves her little brother from terminal illness by traveling into his cells, likely making this to be the world’s only novel set primarily inside a mitochondrion. It’s awesome, if you’re ten years old and into that kind of thing. Shows like 'Outlander' and 'The Handmaid’s Tale' are revealing a big appetite for the female-driven fantasy genre. Here are five new novels to look out for in 2018.